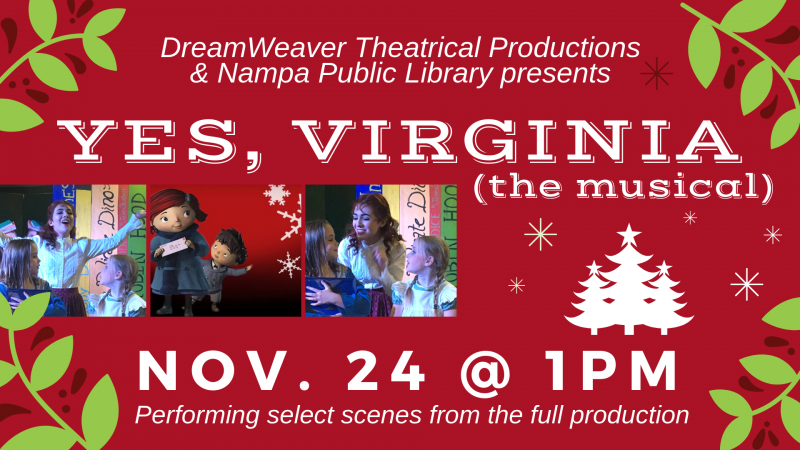 DreamWeaver Theatrical Productions and Nampa Public Library Presents: Yes, Virginia. Performing select scenes from the full production. See the full production at the Karcher Mall in Nampa on Dec. 6 & 7 at 7 PM or on Dec. 8 at 2 PM and 7PM. Visit dreamweaverproducitons.org for more information.